12 insightful Module sessions, 12 mantras, 12 meditations! 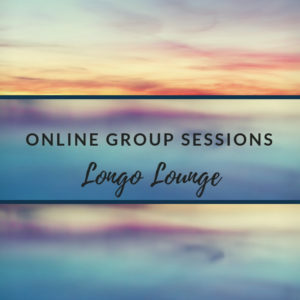 Every Module includes a “themed” discussion, a soothing guided meditation followed by a music mantra with a hypnotizing visual mandala for daily practice. There are 12 Sessions in all. 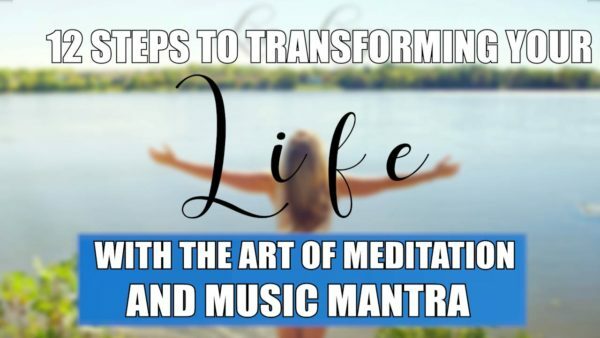 Category: 12 Steps Transformation with Art Meditation & Mantra. Just Imagine the new person you have become, by following the simple guided meditation practices, information tips, and music mantras included in this series. You will gain valuable insights, feel relaxed, renewed and ready to LIVE with Intention, Gain Clarity, Inner Peace and Happiness ! Description: Learn how unresolved emotions are holding you back from living a peaceful and joyful life. The key is through vibrational energy. Learn how your vibration is affecting your current reality. There is a powerful guided meditation followed by a mantra. Description: Learn the basics on clearing our mind-space and our “monkey mind” thoughts through the perceptions we hold. Our belief systems are often the cause of many blocks and negative self-talk. Inner Peace is easier to attain than we think! Description: Everyone gets unstuck at times due to their blocked energies. Learn how to transform your vibrational energy and chakras to get unstuck and to focus on your goals. 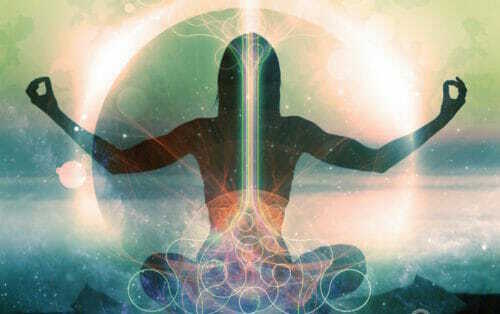 You will experience a powerful guided chakra meditation for clearing, followed by a mantra. Description: Learn how the practice of gratitude and compassion will help transform our “lack “ of beliefs or stories. Our reality can be changed through the process of “BEING” and “FEELING” through a guided meditation and with a positive and powerful affirmation shared in this module. Description: How to take care of our mind-body spirit to release the stress and give ourselves permission for Self-Care. Learn the “why” you must invest in self-care for your daily balance to healthy living! You will be guided with a peaceful meditation and a mantra for self-care. Description: Love happens at the core self first. Discover how love relates to the meaning you put in it, starting with you. You will be guided through a love meditation followed by a joyful happy love mantra. Description: Learn how our beliefs of love can be a bitter disillusionment often leading to failed expectations. When we can feel one-ness in relation to pure love and spirit, we can understand the basics and mind-set of pure love and spirit, and then sharing this understanding and “being” with everyone. Description : Learn how the practice of gratitude and being grateful brings abundance into your life by transforming our intentions and feelings towards it. You will be guided by a powerful meditation followed by a mantra. Description: Learn how change is vital for personal growth and how letting go and acceptance is essential for our spiritual growth through the taming of the ego. You will be guided through a guided meditation followed by a mantra. Description: The key to your truth is inside yourself. Learn how 1 question can help access your truth and help connect to your inner world and divine self. You will be guided with a meditation and a powerful mantra. Description: Happiness is a state of being and notice how our ego-mind can shift our happiness in the moment. Learn how the practice of meditation plays a primary role in attaining happiness and perfection as it is presented. There is a powerful joyful chanting mantra following the guided meditation that will transform your energy instantly. Module 12– How to rid of old Beliefs that no longer serve you to gain unlimited FREEDOM! Description: Learn how the effects of our past beliefs no longer serve us, and keep us stuck and how clearing and transforming our monkey-minds will help us attain unlimited freedom. The power of your thoughts will transform you. 12 Steps to Transformation also comes with Lifetime Access so you can take a break from the material, if you are out of town, go on a vacation, and then return to it whenever you like. You’ll have this resource for life. What are Mantras and Why they Work ? Mantras are very ancient texts studied and brought down through oral tradition by ancient sages throughout history. The goal of the Mantra is to Free Your Mental Chatter so you can access your state of Inner Bliss or Joy within by the repetition of the mantra which ultimately becomes a meditation. But this is not the only reason mantras work. Then I learned something else about mantras, when I became a Kundalini Yoga teacher.The theory behind mantras is that they are related to our “Energetic Body” ( different from our physical body) Energies also known as chakras. Chakras are energy centers where information is stored at the cellular level. When one of these chakras are un-balanced, the mantra corrects — through the use of sound, those chakra “pieces” that aren’t lighting up the way they are supposed to. The sounds of the mantra correct these deep energetic imbalances, and then changes happen in your life.